Although 2016 hasn’t been a highly innovative year for storage technology (in comparison to previous years), one major shift has happened; manufacturers are becoming more and more competitive pricing wise. Pricing might be one of the most important factors when looking for a new storage drive, but performance is also very high on the list and for performance, you want an SSD. SSDs over the last couple of years have been dropping and 2016 has seen record lows in SSD pricing worldwide. The reason for this is highly competitive companies focusing ranges on different key areas such as value, performance and some have aimed purely at style; not sure why, but ok! SSDs are probably the singular most noticeable upgrade for a PC due to fastest response times, quicker loading times and if you have your operating system install, you will see noticeable quickly booting times over a standard mechanical drive. Now is one of the best times to treat your PC to an SSD and here are 5 of the best options available on the market today for under £100. What makes the Crucial MX200 250GB SSD one of the best for under £100? Well for a start, the MX200 comes with a solid 3-year warranty which not only adds desirability, but it means you have a long lasting drive from one of the most reliable storage brands on the market. Performance in CrystalDiskMark is very impressive to say the least with read and write speeds of 549/483MB/s respectively. 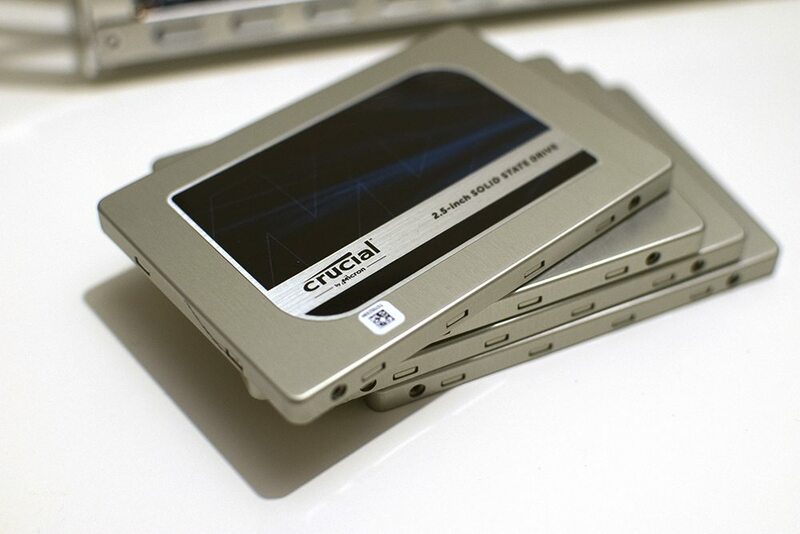 It’s easy to get this drive mixed up with other drives from Crucial however as most of the drives across their range feature the same blue and silver design. As with all Crucial SSDs and due to the fact Crucial is a subsidiary of Micron, all ICs and NAND are Micron based. The MX200 features the ever-reliable and popular Marvell controller; certainly a good performance offering for the sub £100 price bracket. Like the above Crucial MX200 drive, the HyperX Savage 240GB is another solid option for those wanting an SSD that’s blazing fast. 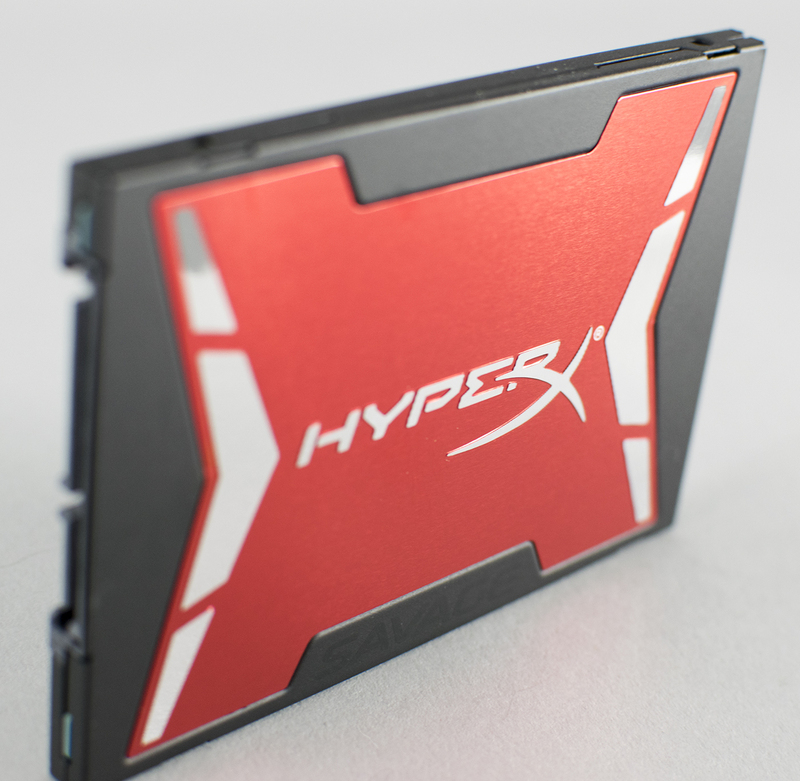 The HyperX Savage SSD not only has oodles of performance, but it has a very striking and likable design. This includes a red HyperX X-shaped plate in the middle with nice, crisp and clean white contrasting text. In terms of design and looks, this is probably the best looking out of the 5 drives here today. Underneath the hood, the HyperX Savage 240GB is powered by the Phison S10 quad-core controller and is filled with Toshiba A19 NAND memory. Not only is this a bargain at £70, but with read and write speeds of up to 550/530MB/s, it makes the HyperX Savage one of the fastest SATA3 drives on the market. No SSD list wouldn’t be complete without an offering from Samsung and in saying this; I have elected to go for their latest drive, the 750 EVO above all their others. Not only does the 750 EVO 250GB SSD push the £/performance boundaries, but it probably puts this miniature pocket rocket storage drive into the best value category. Like the Crucial MX200, Samsung has given the EVO 750 a solid 3-year warranty and have elected to go with a more budget orientated MGX controller. 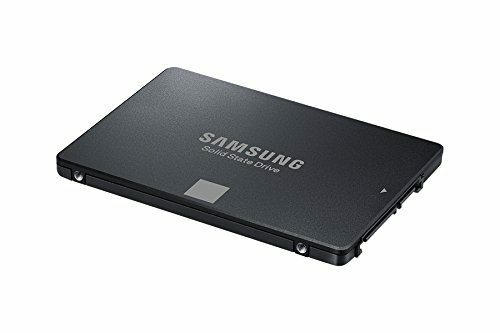 Coupled with Samsung TLC NAND and being virtually indistinguishable design wise from Samsung’s 850 EVO model, the 750 EVO is obtainable for under £70 which makes this one of the best options not only for under £100 but one of the most desirable 250GB SSDs on the market. Even though the Samsung 961 128GB m.2 SSD is the smallest capacity wise on the list, it would be foolish to ignore it due to its amazing performance as it’s also the fastest on the list. It may not be regular SATA3 and your motherboard may not have an m.2 slot, if you have a relatively newish motherboard then the chances are you could happily use one of these. Although more expensive £/GB wise than other types of SSD, the PM961 boasts sequential read and write performance 2800/600MB/s. This is AMAZINGLY fast and for those who have a spare m.2 slot available and want one of the fastest drives possible, then this is the drive to go for. The 256GB drive can be had for £105.95 HERE, but it puts it above the £100 to be featured in today’s list; I did it anyway! Just make sure you have enough airflow in your case as these super-fast drives can get a little hot and you have to remember, the heat generated has to go somewhere, right? 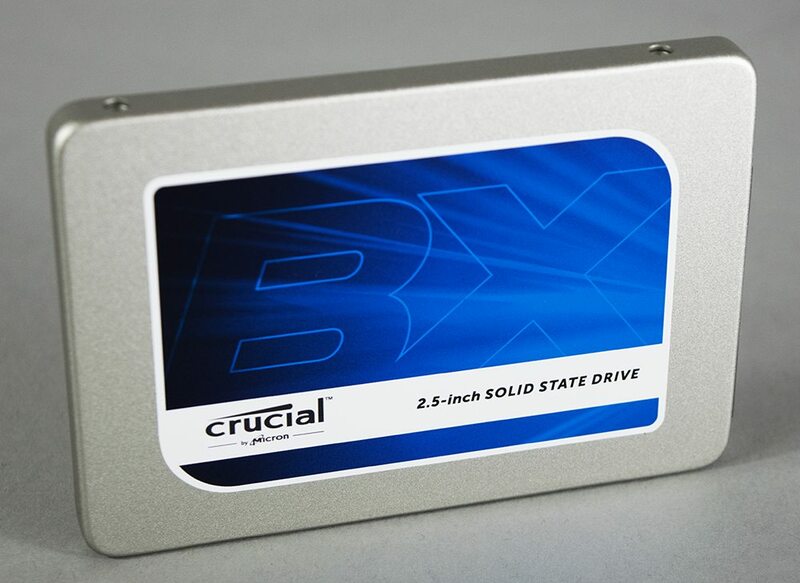 Last, but by no means least, we have the highly value focused BX200 480GB SSD from Crucial. I was in 2 minds whether not to include this drive in the list or not, but given that it scrapes onto the list by a couple of £ and it does offer a fairly large capacity of 480GB, it would have been unfair not to. Although the BX200 doesn’t exactly win the race in the performance stakes, it offers a highly competitive mix of “decent” read and write speed performance, but what makes it more attractive is Crucial’s 3-year warranty. The BX200 is probably the most well-rounded SSD when you consider value, performance and design into your buying decision. Whether you agree with the drives listed above or not, each of the drives selected has very big strong points that I believe deserve to be recognised. I expect 2017 to be another strong year for SSD manufacturers to battle it out and I believe most 480-500GB drives will come down under the £100 mark. Not only would this be a good thing for the industry as it promotes healthy competition, but the big winner is of course you, the consumer. We hope you enjoyed our top 5 SSDs under £100 for 2016 list. If you agree with us on our choosings, have any suggestions or believe another drive deserved to be on the list, then let us know in the comments below! Nice! They all have their merits, but the BX200 was added just for sheer £/GB value!